Showing results by author "Amy Snyder"
Three-time Ironman finisher Amy Snyder takes the wraps off the best kept secret in the sports world, the Race Across America (RAAM), a bicycle race like no other. Unlike its famous cousin the Tour de France, RAAM is much crazier, more gothic, and even savage: Once the gun goes off the clock doesn't stop, and the first rider to complete the prescribed 3,000-mile route is the victor. 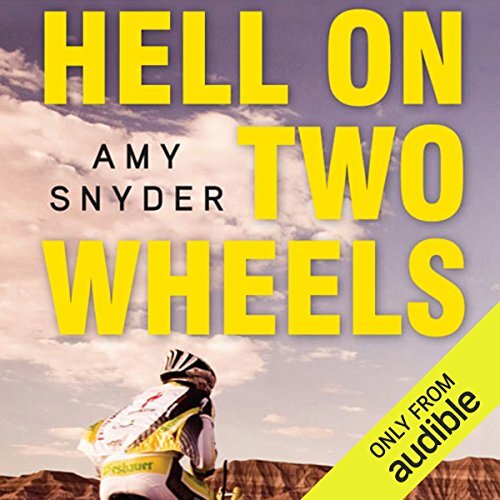 In Hell on Two Wheels, Snyder follows a group of athletes before, during, and after the 2009 RAAM.